'श्रीअवधूतचिंतन' हि अतिशय क्वचित घडणारी घटना होती. अतिशय विलक्षण, अद्भुत आणि मनोहारी असे ह्याचे स्वरूप होते. ईशद् पृथ्क्कारीका अर्थात सर्व इष्ट करणारी चाळणी. 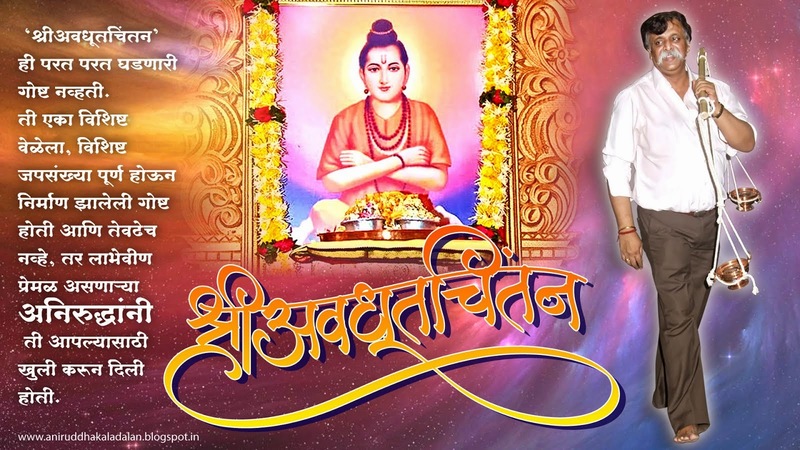 विश्वनाथ व रामेश्वर ही दोन्ही ईश्वराची अर्थात शिवाचीच रूपे आहेत. विश्वनाथ प्रतिपाळ करणारा, तर रामेश्वर शत्रूंचा नाश करणारा. अशा ह्या विश्वनाथ व रामेश्वर ह्या दोघांची ही यात्रा आहे. दत्तात्रेय अवधूताचे २४ गुरु ही ह्या विश्वातील २४ तत्त्वे आहेत. ह्या महाविष्णूची, परमशिवाची, सद्गुरुतत्त्वाची कृपा मनुष्याला प्राप्त करून देणारे २४ चॅनेल्स आहेत. 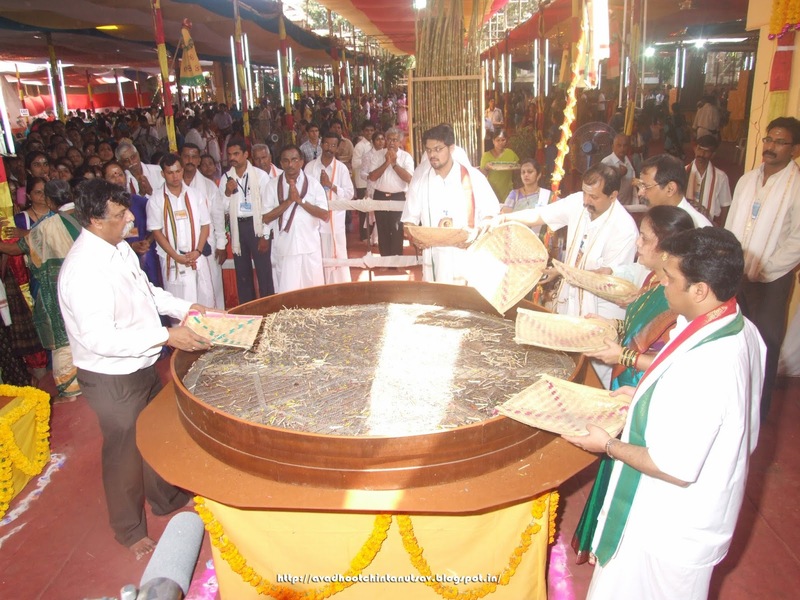 The shraddhavans had the golden opportunity of worshiping all the twelve Jyotirlingas. These twelve Jyotirlingas have been formed from the 24 principles. 12 Adityas, 11 Rudras combine to make 23 principles and the protector of these principles, Prajapati being the 24th principle. 12 Adityas mean 12 Suns, while the 11 Rudras mean the Catastrophic Power and Prajapati, the one who takes care, the Guardian come together to form the 24 principles. From them, Male and Female differentiation was done and the 12 Jyotirlinga came into existence. These Jyotirlinga are the foregoes of these 24 principles. Such great Jyotirlingas were worshiped. The first Poojan of these Twelve Kailashbhadra Jyotirlinga was done by Mata Arundhati. The first woman to be given advice by Saint Agastya was Mata Arundhati who was told to do Shivopasana and the first man to be given advice was Saint Vashishta, who was told to do Vishnopasana. A shraddhavan worshipping these 12 powerful Jyotirlingas, achieved the opportunity to destroy their bad habits, lust, evil nature and to guard, bloom their good and positive thoughts and deeds. To nurture the good habits and to destroy the bad ones and thereby leading Life on a progressive path is known as Power of Shiva (Shivshakti) which can be attained by worshipping these 12 Jyotirlingas which was bestowed as an opportunity upon the shraddhavans. The composition of this Worship place of the 12 Jotirlingas was circular. In the center was the “Nandadeep”, which was lit and glowing continuously. The first circle from the centre known as the “Pratham Vikram” had pictures of River Ganga, Crescent Moon, Damru, Trishul and Nag which are Lord Shiva’s armaments. The second circle known as the “Dwitiya Vikram” had the 12 Jyotirlingas. These 12 Jyotirlingas very not plain simple but their shape, size, colour had an amazement to it. The first Jyotirlinga was like the smallest finger i.e. the size of the smallest finger and was black in colour. After this, the following Jyotirlingas had the size increasing reaching upto the full length of the hand i.e. “Purnpani”, the last and twelfth Jyotirlinga. The complete hand starts from the Arm and finishes on the middle finger of the hand. Such was the height of the last Jyotirlinga and was grey in colour. The colours of the 12 Jyotirlingas were black, Rhinestone and grey in an order. The last and third circle known as the “Trutiya Vikram” had “mangal kalash” on every square coloured formation of foodgrains and the water of the mangal kalash had Scented water, Camphor, Holy Basil and betel nut. In this entire formation, there was a path, a light path leading to the Nandadeep, which is also the light path of every shraddhavan’s life. By lighting the internal light, the shraddhavan’s life was also illuminated with enlightenment. Shraddhavan worshipped the 12 Jyotirlingas by offering white flowers, bel leaves and patri which is made of leaves of Terda, Aagada, Jasvand (Hibiscus), Parijatak, Oudumber and Palas during the chanting of holy spells. While worshipping these 12 Jyotirlingas and during the Nityachakra Parivartan Pradakshina, the leaves used for offerings were not simply taken as leaves of fragrant flowers but Lord Shiva liked these leaves specifically which has a beautiful story to it. Lord Shiva’s wife – Parvati is also known by her another name as ‘Aparna’. To appease Lord Shiv Shankar, she did a very hard penance and to take care that her penance is not broken, she did not move from her place. In the meanwhile, she continued her penance by eating the leaves of the trees which fell besides her. In the very end, there were no leaves (Parna) left on the tree. Hence then “A-Parna” did penance without having any leaves and received blessings from Lord Shiva. And hence these leaves are very dear to Lord Shiva Because these very leaves had sought the safety of his beloved. Shiva – the one who destroys, finishes, one who breaks down is Shiva. By this pujan of Shri Jyotirling Kailashbhadra, Shraddhavan prayed to Lord Shiva to destroy, remove all the bad habits, laziness, ill-thinking while increasing and securing good habits and holy spirits, positive thinking. Copyright © 2017 Avadhoot Chintan Utsav.